Soft and durable 100% cotton cradles baby in comfort Imported MORE carrying positions, longer lifespan (newborn to 45lb), and more features than any other baby carrier. SIX (6) ERGONOMIC CARRYING POSITIONS: Front-Fetal, Front-Infant, Front Facing Out, Front-Toddler, Hip and Back. NO extra infant insert needed for newborn babies Includes the signature Lumbar Support, Neck Support, Sleeping Hood, 2-way Shoulder Straps, and zippered Pocket. Lightweight, compact, and machine washable. 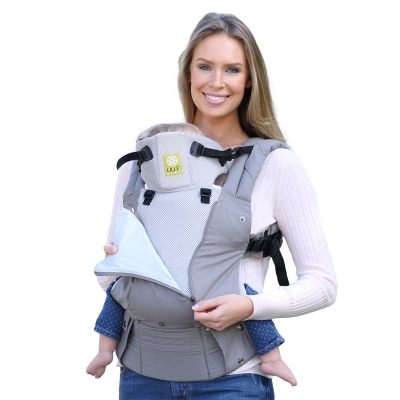 ERGONOMIC for MAXIMUM COMFORT: the wide and sturdy waist belt, 3" wide padded shoulder straps, lumbar support, and thoughtful design alleviate pressure on wearer's back and shoulders and evenly distribute baby's weight. 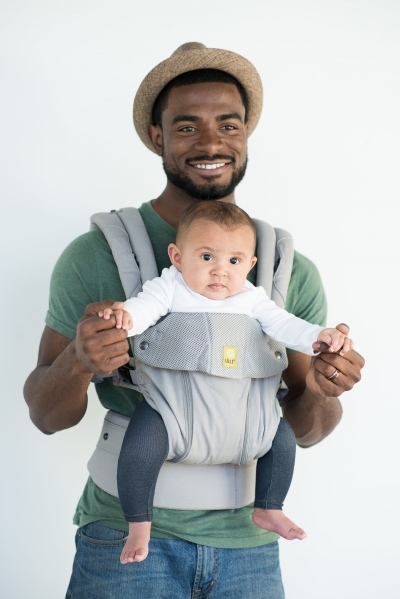 BESTSELLER: The LÍLLÉbaby COMPLETE All Seasons is the perfect baby shower gift or choice for your registry; parents enjoy 360° carrying with adjustability and features that will take them comfortably and happily through the babywearing years. Gorgeous baby carrier! Love the bright purple color and the many options you can use it for.